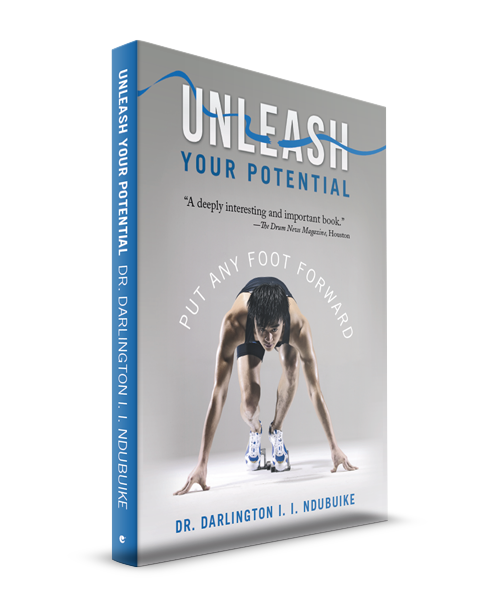 Unleash Your Potential: Put Any Foot Forward presents a clarion call for people to awaken the gifts within. Everyone has a gift, and the truth is that if these are not used, they will be taken away, and the joy of fulfilling God’s purpose in one’s life gets lost. Readers will learn how to unleash their potential, to put any foot forward through motivation and encouragement. Having been crippled for so long by circumstances, fears, past failures, and mistakes, now, author Dr. Darlington I. I. Ndubuike encourages everyone to heed the command of the Lord to move ahead! When God provides opportunities, take that first STEP: Seize the opportunity, Take action by faith, Encourage ourselves in the Lord, Prayerfully follow God’s lead. One cannot be intimidated by personal circumstances. With heads up and shoulders high, one must position oneself to unleash inner potential without losing focus, with the understanding that nothing good comes easy. It takes time and effort, but every dream is attainable.